Ant Htoo is a boy from Thailand who needs $1,500 to fund a tumor removal. Ant Htoo is a seven-year-old boy from Thailand. He is a first grade student. When he was six, his mother noticed a mass on his thigh. It is not currently painful, but his mother worries that the mass will get bigger as he grows. Ant Htoo’s family sought treatment through our medical partner, Burma Children Medical Fund. He is now scheduled to undergo mass removal surgery on March 8. His family is requesting $1,500 to cover the total cost of his procedure and care. Ant Htoo's case was submitted by Bue Wah Say at Burma Children Medical Fund in Thailand. Ant Htoo was submitted by Bue Wah Say, Project Officer at Burma Children Medical Fund, our medical partner in Thailand. Ant Htoo was scheduled to receive treatment at Mae Sot General Hospital. Medical partners often provide care to patients accepted by Watsi before those patients are fully funded, operating under the guarantee that the cost of care will be paid for by donors. Ant Htoo's profile was published to start raising funds. Ant Htoo is currently raising funds for his treatment. Awaiting Ant Htoo's treatment update from Burma Children Medical Fund. 100% of your donation funds life-changing surgery. 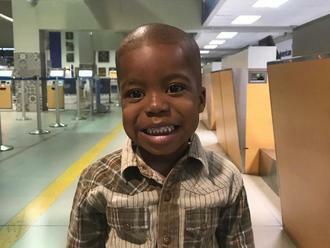 Mavelt is a preschooler from Haiti. He lives with his parents and younger brother in a neighborhood of Port-au-Prince. He likes watching cartoons and drawing. Mavelt has a cardiac condition called Tetralogy of Fallot. This condition involves several related defects including a hole between two chambers of the heart, and a muscular blockage of one of the valves. Mavelt will fly to the United States to receive treatment. On April 19, he will undergo cardiac surgery, during which surgeons will close the hole in his heart with a patch, and remove the muscular blockage. Another organization, HeartGift Foundation, is contributing $18,000 to pay for surgery. Mavelt's family also needs help to fund the costs of surgery prep. The $1,500 bill covers labs, medicines, and checkup and followup appointments. It also supports passport obtainment and the social workers from our medical partner, Haiti Cardiac Alliance, who will accompany Mavelt's family overseas. His mother says, "My son's heart has been making him very sick, and so I was very happy to learn he can have surgery!" Saul is a mechanic from Malawi. He lives with his wife, five children, and two grandchildren. He enjoys chatting with his wife in his free time. For eight months, Saul has had a hydrocele, which is a swelling in a sensitive area. He experiences pain due to this condition. Fortunately, on March 21, he will undergo hydrocele repair surgery at Nkhoma Hospital, our medical partner's care center. Our medical partner, World Altering Medicine, is requesting $302 to fund Saul's surgery. The requested money pays for supplies, medications, and six nights of hospital stay. He says, "This is helping me so much because with this condition, I cannot live a normal life; I cannot even properly wear trousers!"